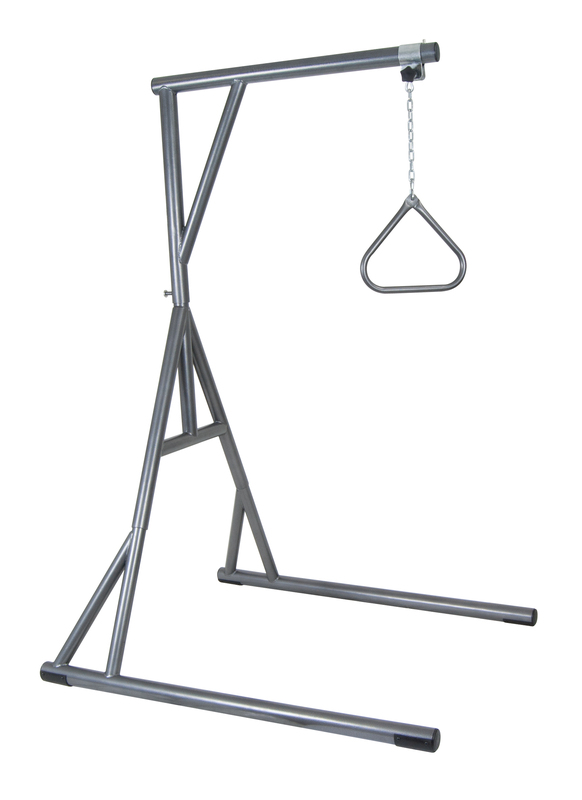 With tool-free assembly and a lightweight design this heavy duty deluxe bariatric trapeze bar by Drive Medical makes setup a cinch without skimping on strength. The product is designed to assist larger individuals change positions in bed or aid in the transfer from bed to a chair. It features an overhead boom with an adjustable chain that allows the boom position to be placed anywhere from the edge of the headboard to the end of the boom.